Many hunters will carry a call to help locate a gobbler. These calls are called "Locator Calls" and they work by making a loud echoing call through the woods. Examples of a locator calls are crow calls, owl calls, coyote calls, hawk calls, goose calls and peacock calls. All of these calls have the same thing in common, they are loud. Once a call is made by the hunter, time is taken to wait for a response from a nearby gobbler. By locating a bird ahead of making hen calls, a hunter has a better chance of choosing a location in which to set-up for the hunt. 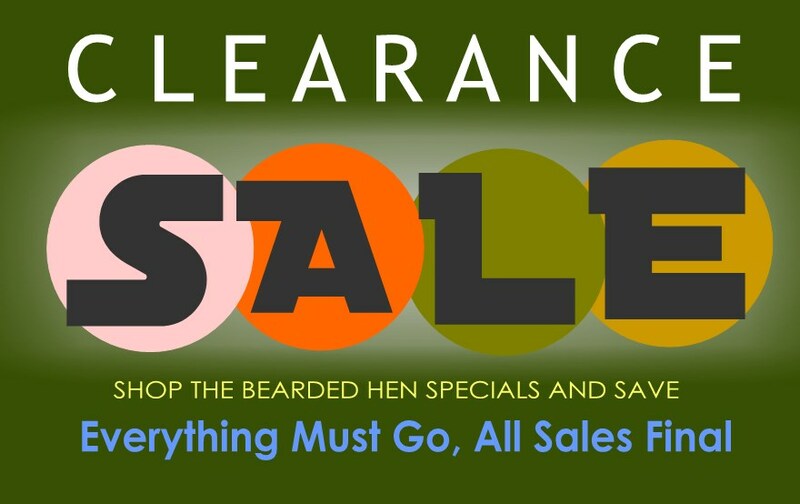 We have two great Locator Calls at Special Clearance Prices: The Peacock Call and The Barred Owl Hooter. Both are good tools to have in your turkey vest. Good Hunting! 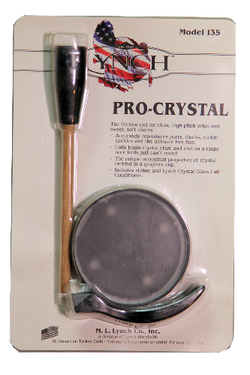 The Pro Crystal turkey call is a great call for the beginner because it is so easy to learn. This call is compact and it comes with a crystal pot, wood striker and sanding tool. I will make realistic sounds of a hen turkey and tone pitch can vary as you move across the crystal surface. 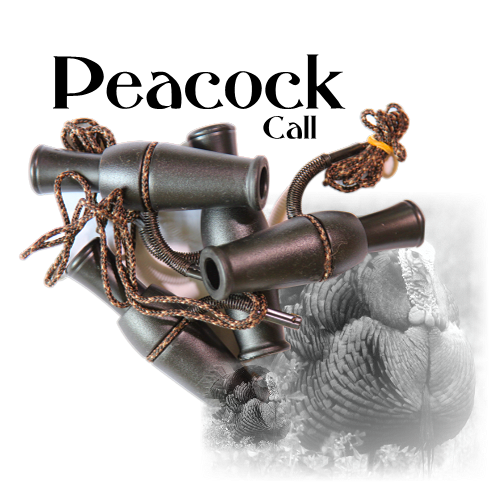 Buy Several and give kids or new turkey hunters a new tool for calling turkeys. While the last . . .